Eve is a survivor who has lived a hard life but managed to succeed against unthinkable odds. Still tortured by the kidnapping and murder of her seven year old child, Bonnie, Eve is nevertheless loving and intelligent, one of the world's foremost forensic sculptors. She tries to bring closure to other parents who have lost their children. So when Jim Doane wants answers about his missing twenty-five year old son, Eve recognises his fuel of anguish that once was hers. Yet, Doane has secrets that prevent him from going to police to help uncover the mystery of his son, a case which has only partial skull fragments as evidence. Eve is Doane's only option if he wants the secrets behind his son's death without risking his own secrets and hidden agendas. But helping him leads Eve into a dangerous place where Doane will stop at nothing from using Eve's skill, even if it means taking Eve. Iris Johansen is the New York Times bestselling author of Face of Deception, The Killing Game, Eight Days to Live, Blood Game, Quicksand, Killer Dreams, On the Run, Count Down, and more. Johansen began writing after her children left home for college. She first achieved success in the early 1980s writing category romances. 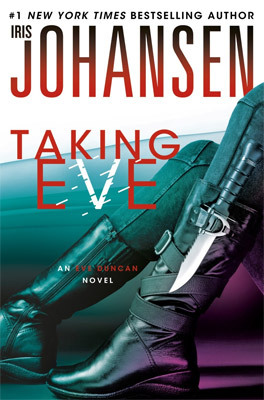 In 1991, Johansen began writing suspense historical romance novels, but five years later she switched genres, turning to crime fiction, with which she has had great success. She had seventeen consecutive New York Times bestsellers as of November 2006.